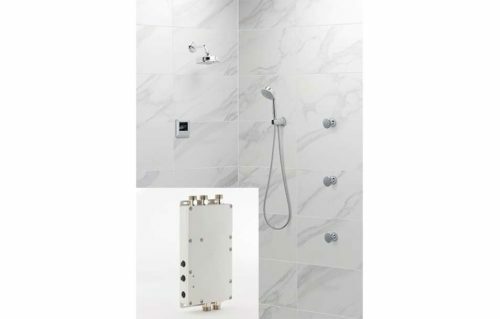 There’s a lot that goes into building the perfect steam shower, from the design to the materials to the steam products you choose. Educating yourself on the dos and don’ts as well as industry best practices can help ensure that you’ll enjoy the final product for years to come. In this post, we’ll tell you all you need to know before creating your own steam shower. Size and location: A steam shower should be large enough so that you can sit down and relax but not so large that the power needed to heat the area exceeds the planned electrical capacity of your home. Because steam rises, a low ceiling is ideal; aim for 7 feet (8 feet maximum). For best results, a steam shower should be located away from outside walls, especially in colder climates. You should also consider how the size of your space and the materials use will affect the required wattage of your generator. Use our steam generator sizing guide to make sure you chose the right size. Windows and skylights: If possible, avoid having windows inside the steam room. If you must have a window, choose one with the highest possible R-value and ask the steam manufacturer what size generator they recommend. Skylights should never be used inside a steam room. If you have a skylight or cathedral ceiling, consider building a roof above the steam shower but below the bathroom ceiling. You can either construct the roof as a shelf with the same bath tile or check with your shower door manufacturer to see if they can supply a glass ceiling. Shower door: Since the door seals off the shower from the rest of the bath area, your steam shower is effectively an unheated space. Therefore, a steam shower with an outside wall will be very cold in the winter if the door is left closed. To remedy this problem you can plan to leave the door open, which means allowing enough space for the door to swing out into the room. If you do not plan to leave the door open, you’ll need to add a transom to the top of the door or install radiant heat, not only to regulate temperature but also to allow the shower to dry so as to prevent mildew. Steam generator location: The steam shower generator can be up to 25 feet away from the shower, but the closer, the better. A nearby closet is the best location for service access. The basement or attic may also suffice, but the space must be indoors and protected from extreme temperatures. Remember that to operate a steam generator you need both a water line and a dedicated power line. A drain connection is optional, but it can increase the life of the generator with regular maintenance, especially if you have hard water. 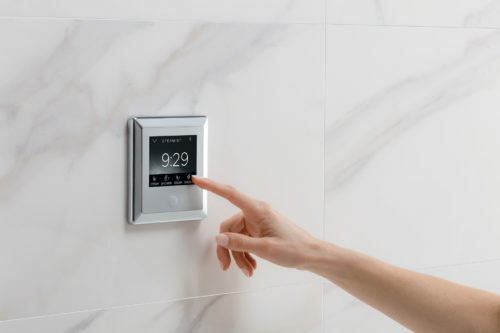 Once you have taken these details into account, you’re ready to get started on the design and construction of your steam shower. The main difference between a regular shower and a steam shower is the intensity of the moisture, so materials, design, and quality of construction are of the utmost importance. Steam room walls generally consist of a backerboard, a vapor barrier or membrane, cement, grout, and tile, but you have some choices when it comes to materials and methods. Seat. A seat is a must in a steam room. You may choose a built-in bench if you have a large steam shower, or a folding seat if space is limited. Built-in benches must be sloped to allow for water runoff. Steam outlet and control. To keep the bather safe and comfortable, the steam outlet should be placed away from both the entrance and the seating area. However, for the bather’s convenience, the control for the steam room should be near the seat (about 4 feet off the floor). Because the control can sense the temperature in the room, it should never be located above the steam outlet. Ceiling sloping. Sloping the ceiling to prevent dripping is an option, but it is not always effective. If you have a tiled ceiling with recessed grout lines, for example, the water may drip at the tile’s edge rather than travel all the way down the slope. 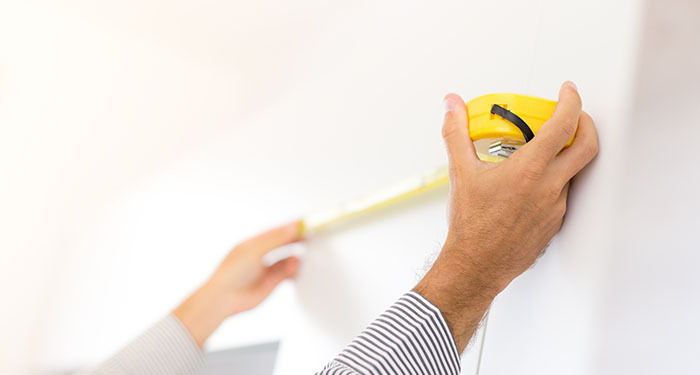 If you do decide to slope the ceiling, a minimum of 1 inch of slope per foot of ceiling is recommended. Sloping can significantly affect ceiling height in a large space. In a large steam shower you may choose to peak the slope in the center or just slope the area above the bench. Temperature limits. The steam entering the shower will be very hot: 212°F. Most tile and natural stone will be able to withstand the heat, but other materials may not. Always consult the manufacturer to discuss temperature limits and expansion before choosing acrylic or manmade plastic-based materials. Waterproofing. You need to protect all surfaces from moisture, including the ceiling, so make sure that the material you choose for the steam shower is completely waterproof. Insulation and radiant heat. Insulation of interior walls is optional. The duration of a typical home steam bath is very short, so the energy saved by insulating the interior walls is limited. Insulation of exterior walls is a must, and you cannot over-insulate. In cold climates radiant heat in the floor and walls can help take out the chill. You could even add radiant heat to the built-in bench for an extra treat. Shower door. Be sure to order a door specifically designed for a steam room. Typically, the door will be completely sealed on both sides and the top. Leaving the bottom unsealed helps with ventilation and facilitates opening and closing the door. After the walls are done you are ready for the door. The installer can now measure the exact opening for the door installation. Remember to order a transom if you do not plan to leave the door open to allow the shower to dry. The final trim will be installed per the steam manufacturer’s instructions. Before testing the steam shower, make sure that all the electrical connections are complete and that the water is turned on to the steam generator. The Tile Council of North America (TCNA) is the foremost authority on tile construction. For the best generic steam room construction practices, we recommend consulting their handbook. USG Resource Center: The USG Durock® brand includes a cement board and a foam board as well as a waterproof membrane. 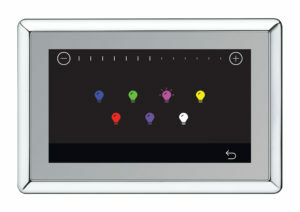 Visit their resource center to find the appropriate installation instructions. WonderBoard® Lite: This line, manufactured by Custom Building Products, is another option for backerboard. Click the link for their installation instructions. HardieBacker®: This cement backerboard, manufactured by James Hardie Technology Limited, is another good choice. Click the link for their installation instructions. Schluter®-KERDI-BOARD: This multifunctional tile substrate and building panel works great for steam showers. Click the link for their installation instructions.